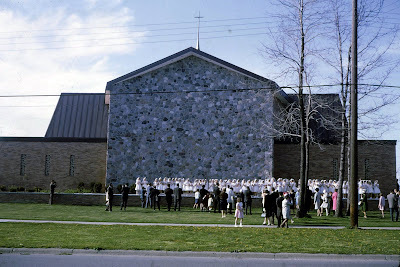 First communion at the soon-to-be closed St. Luke's in 1968. Grumkin, a Flint Expatriate who was born on McClellan Street across from the current site of St. Luke's Church and school, provided these photos of her old parish. 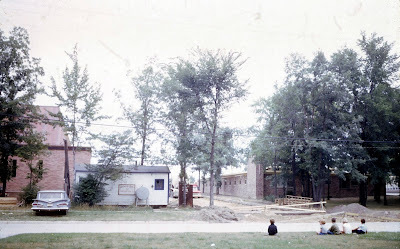 The neighborhood kids watch St. Luke's construction in 1966. 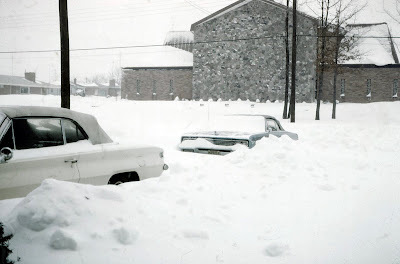 The church weathers the snows of 1967. 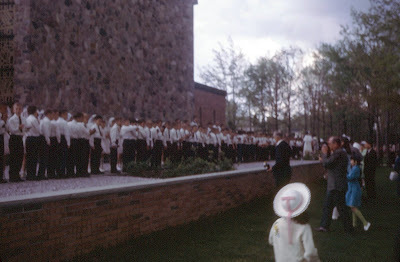 Black pants, white shirts, or else at first communion in 1968. "The merger of the four parishes (St. Luke, St. Agnes, Sacred Heart will merge with St. John Vianney...) is only the beginning of other changes that will be happening throughout our diocese in coming months. The Genesee County region that we belong to is not only the largest of six regions, but will also have the most drastic changes..."
I don't consider myself a Catholic, but almost all of my family is, and I've been to many functions at St. Luke's. I'm very sad to see it go, as I see it (and the other two that are closing) as a cornerstone in the neighborhood. 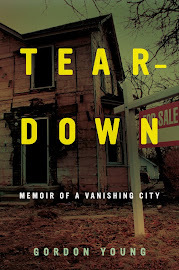 Three more reliable institutions leaving the city are never a good thing. Thanks for posting these pictures, Gordie! The quote from the St. John Davison bulletin sounds rather ominous. my mom taught at Dukette but she didn't start there until the 80s. she painted a mural in the window wells for the pre-k/kindergarten classes back then. when i was back in Flint last August, those murals were still there... untouched by grafitti and time.